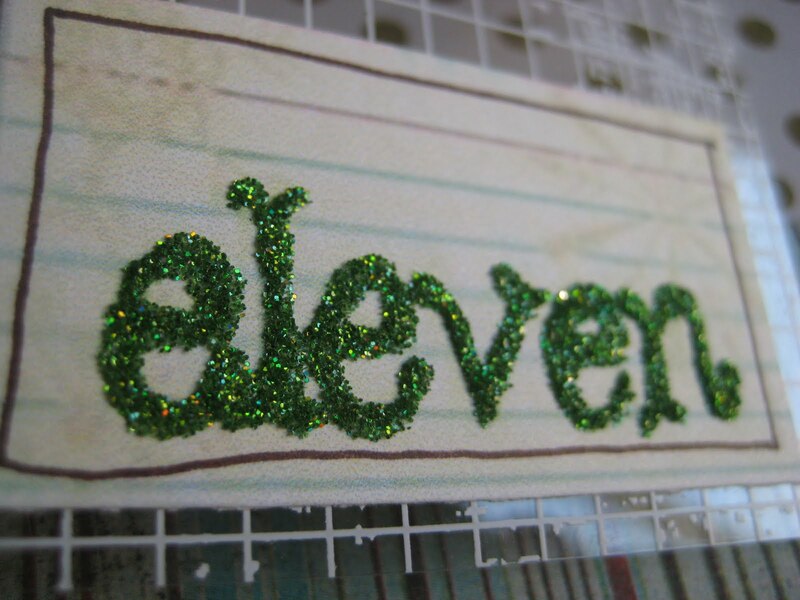 This week I have had some time to actually make stuff. It’s so wonderful and exciting! My list of pages and mini book ideas is about a mile long so it feels really good to get some things accomplished. But first I have to tell you about an exciting find. You know Micheal’s fabulous dollar section? 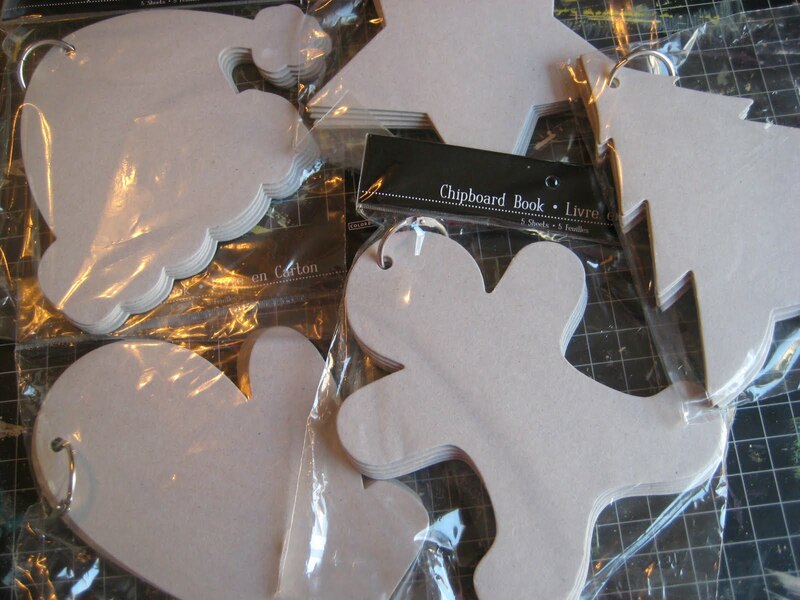 They have these cute Christmas chipboard books! They had Christmas trees, Santa hats, stars, mittens, gingerbread men, angels and I think snowmen. How perfect! My plan is to make a banner with some of them. I’ll show you once I start making it. 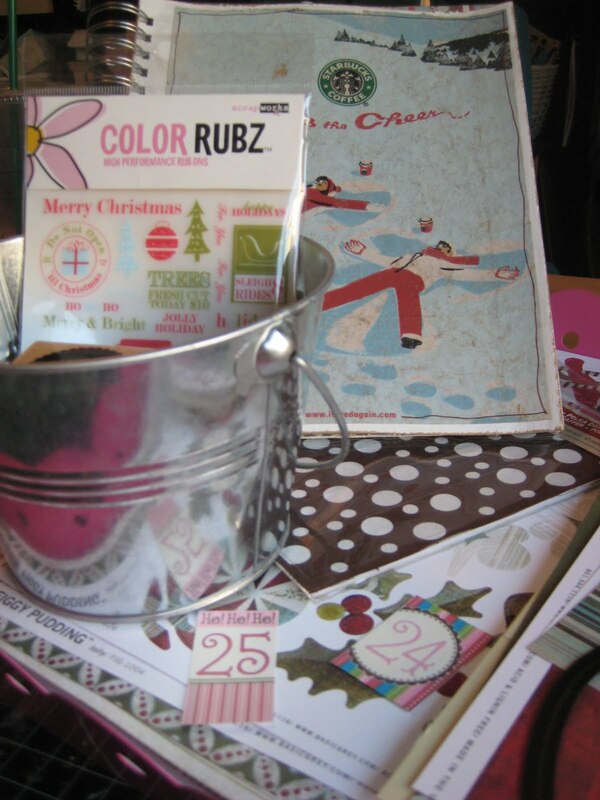 Recently on Ali Edwards blog she was talking about her yearly project called December Daily. 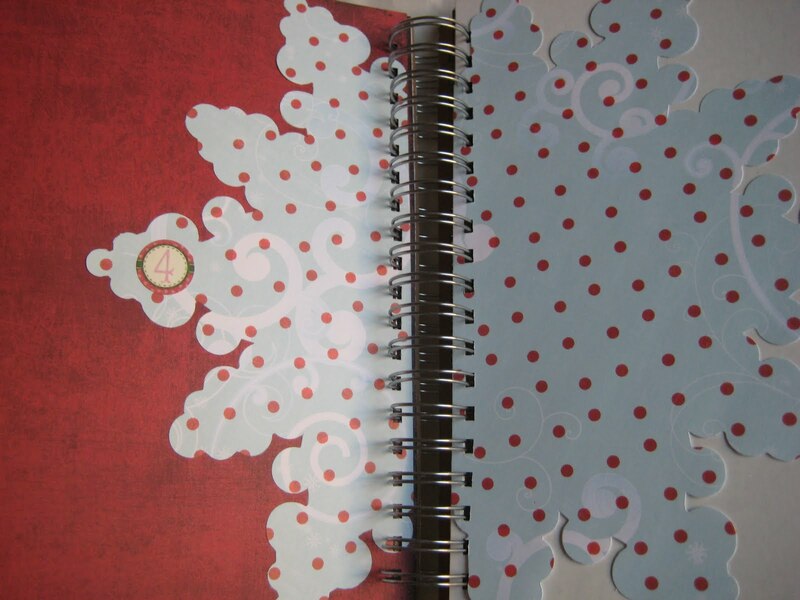 She makes an album ahead of time that way she can scrapbook about her day easily and quickly. She starts December 1st and goes through Christmas day (one page pre day). I thought this was a great idea and this year I am doing it. I’ve gathered my materials and started making the book. 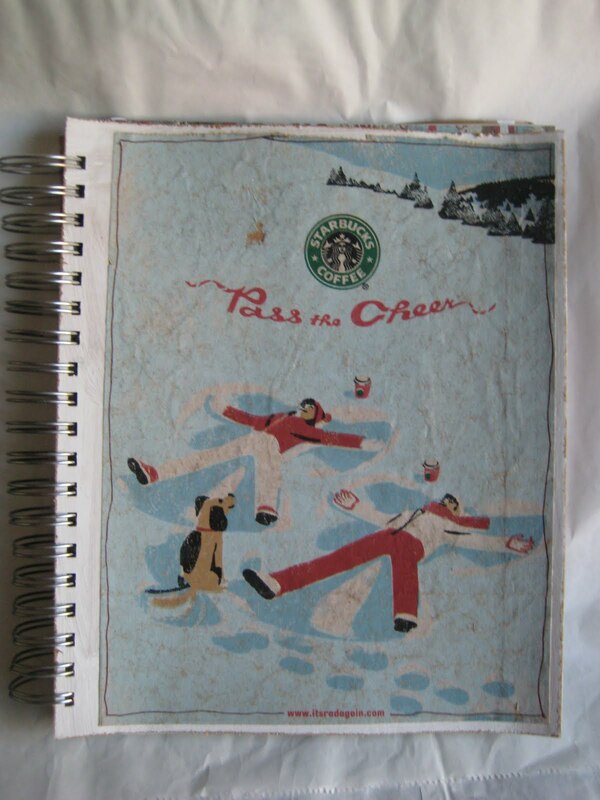 I used an old Starbucks bag for the cover (I knew I would need it one day) and most of the pages inside are using Basic Grey Christmas papers. As I do each page in I will post it. The chipboard books would be great in it too. This book has inspired me to keep daily notes. Not that I will scrapbook everyday of my life but I am trying to document more of the everyday and not just special occasions. Ooh! Looks CUTE!! I really wanna do one this year too…with all my spare time and all 🙂 lol.